I was one of the three people that chose the full-day tour. The bus dropping you off is not the bus picking you up. (You will have to look for a bus from the same company) The meal (a huge full course meal) and snack (which included a drink) were lovely. I was there in the first week of April: lots of flowers blossomed and there weren't that many people. The entire city is beautiful. The Museum of Impressionism was having an exhibition: "Monet-Auburtin. An Artistic Encounter," which juxaposed paintings from these two artists. For the spare time, I was able to visit Monet's grave. 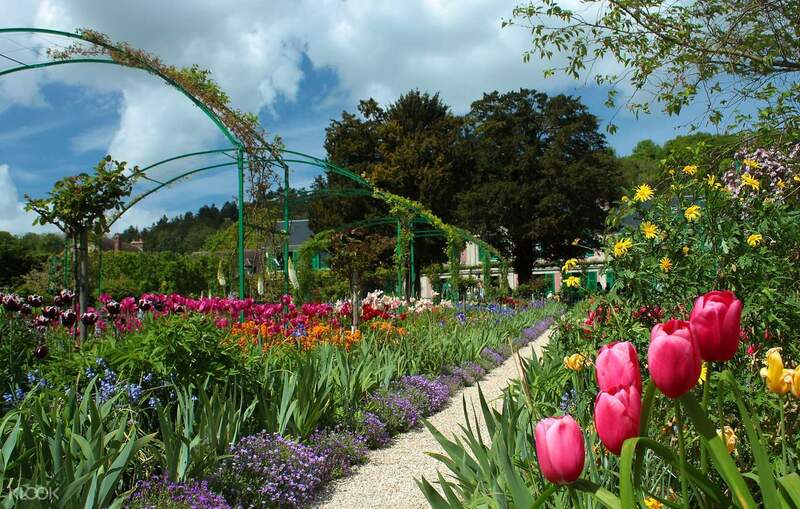 Get a break from the ordinary and visit an artist's beautiful garden at Giverny. Claude Monet is a well-known Impressionist painter who's famous for his landscape canvases and numerous views of his garden. With a half day or whole day tour, you'll be able to explore this artist's sanctuary from where he gets his inspiration. 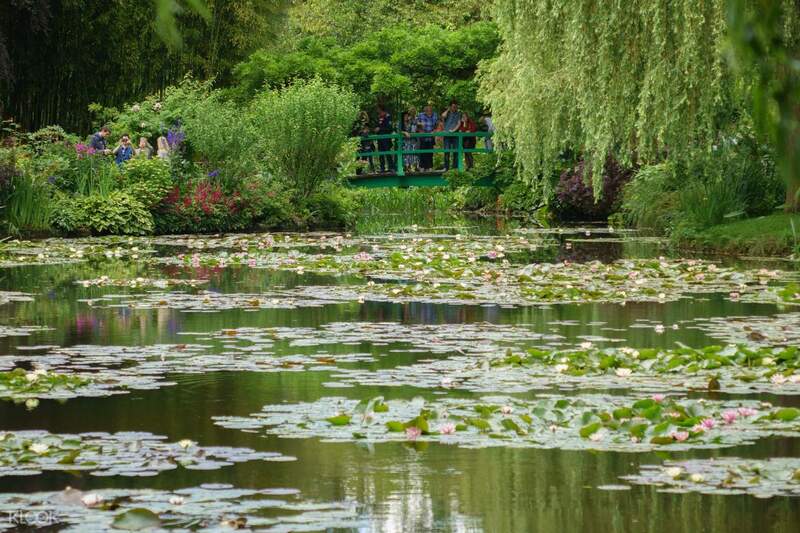 Monet's garden is a place filled with art and poetry, a wonderland where people can take a break from the hustle and bustle of life in Paris and immerse themselves into nature. The flowers and plants laid out in order in the his flower garden are a cavalcade of colors, where the greens, reds, and yellows just come out in the artist's brush. 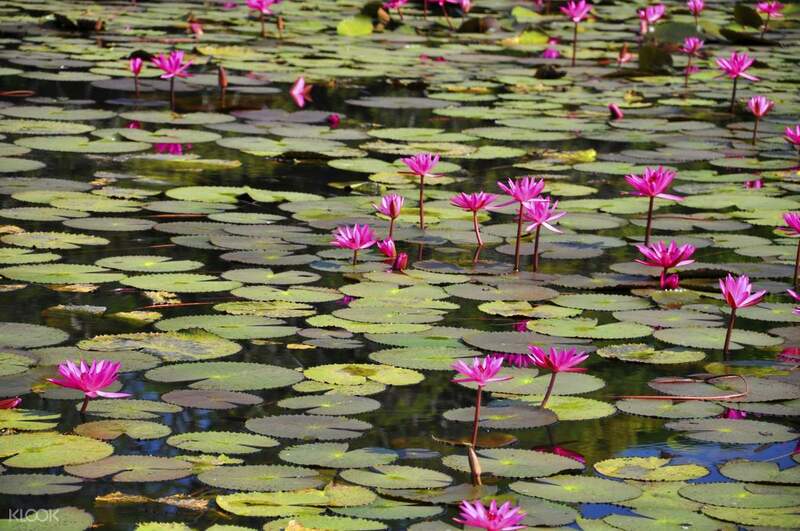 Your visit will also include seeing his beautiful water lily pond with his legendary Japanese-inspired bridge. Watch how flowers and greenery reflect in the water like a painting. Standing by the bridge gazing at this view is definitely a calming experience. 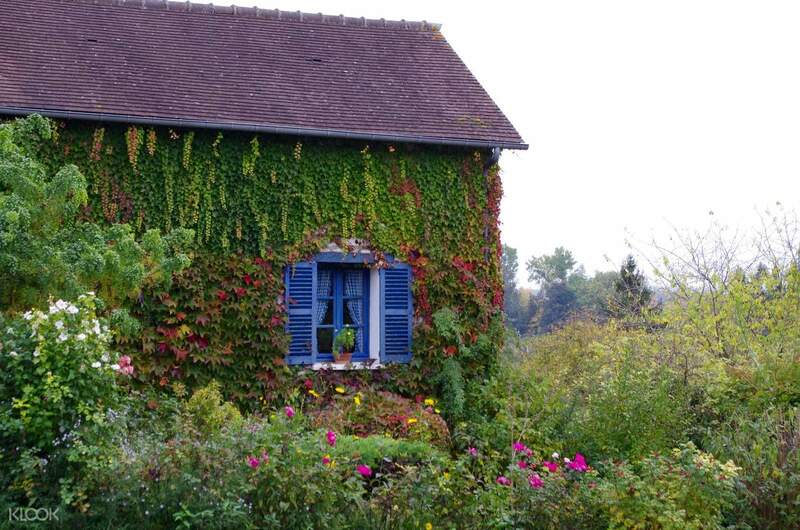 Take the opportunity to explore Monet's pink-plastered house, where he lived and worked for many years. And to fully understand this Monet's life, you'll be guided either with an audio guide or opt to have an expert guide to walk with you. I was one of the three people that chose the full-day tour. The bus dropping you off is not the bus picking you up. (You will have to look for a bus from the same company) The meal (a huge full course meal) and snack (which included a drink) were lovely. I was there in the first week of April: lots of flowers blossomed and there weren't that many people. The entire city is beautiful. The Museum of Impressionism was having an exhibition: "Monet-Auburtin. An Artistic Encounter," which juxaposed paintings from these two artists. For the spare time, I was able to visit Monet's grave. I was one of the three people that chose the full-day tour. The bus dropping you off is not the bus picking you up. (You will have to look for a bus from the same company) The meal (a huge full course meal) and snack (which included a drink) were lovely. I was there in the first week of April: lots of flowers blossomed and there weren't that many people. The entire city is beautiful. The Museum of Impressionism was having an exhibition: "Monet-Auburtin. An Artistic Encounter," which juxaposed paintings from these two artists. For the spare time, I was able to visit Monet's grave. Trip to Monet's garden is kind of relaxing event that everyone will feel comfortable standing in the garden feeling the wind and amused by the smell of the flowers. Trip to Monet's garden is kind of relaxing event that everyone will feel comfortable standing in the garden feeling the wind and amused by the smell of the flowers.